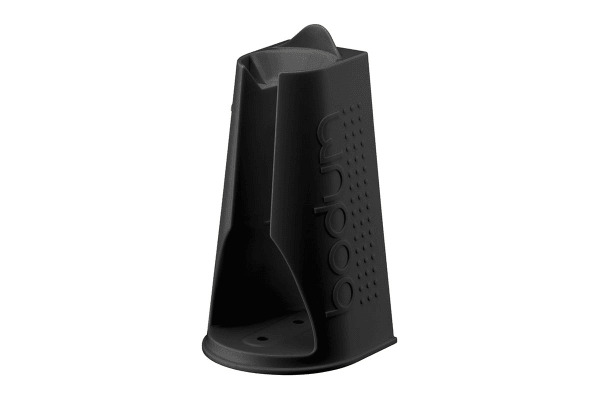 The Bodum Bistro Set Electric Blender Stick with Accessories, Grinder & Stand include the knife for making anything from smoothies to vegetable soups; the whisk for making mashed potatoes and the beater for making thick milk foam. 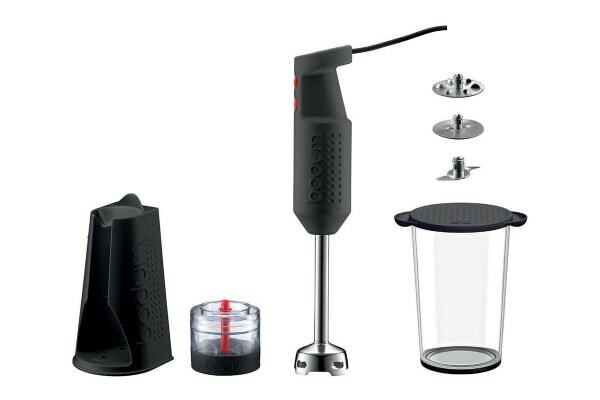 The Bodum Bistro Set Electric Blender Stick with Accessories, Grinder & Stand also comes with a beaker for pureeing and storing leftovers in the fridge when it’s topped with the lid. The Bistro Blender Stick is great for baby food, too. Just stick it into any pan, pot, glass or bowl and it will do its job effortlessly at the push of a button. Once you’re done, simply let it run in a bowl of hot water for a bit and it cleans itself. 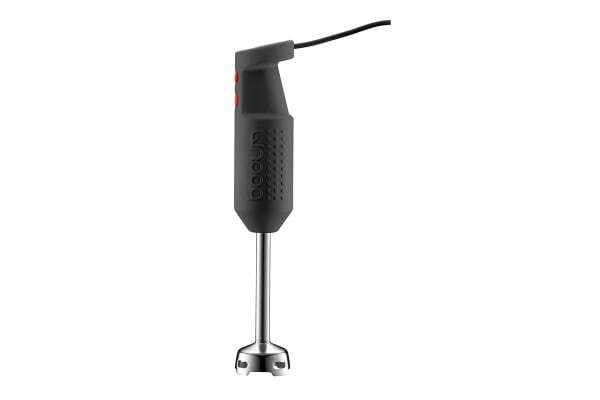 The 2-speed Bistro Blender Stick is made from plastic and stainless steel. The kit also comes with a blade grinder which can be attached to the blender stick to make chopping anything from nuts to herbs easy and a stand to store your Blender Stick right on the kitchen counter.